Newzoo has put out a report showing the top 25 gaming companies in the world. 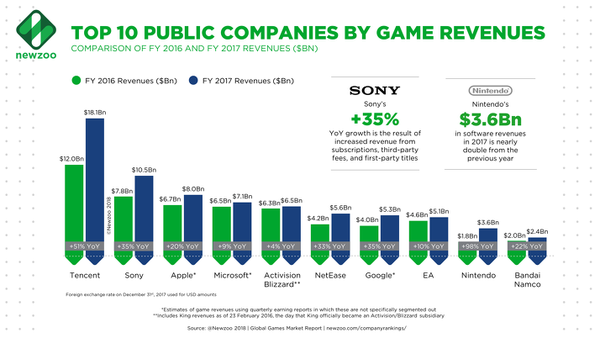 Their information shows that these top 25 are responsible for 77% of the global games market in 2017, which is a pretty staggering number. Nintendo has found themselves among the top 10 for 2017, thanks to the huge success of the Switch. Their numbers in 2017 are nearly double that of the year before.